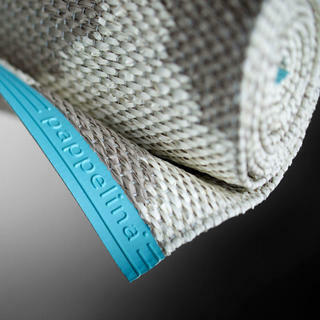 Pappelina’s rugs are manufactured from Swedish plastic foil. The plastic foil PVC ribbon is made in southern Sweden by the company Gislaved Folie AB. New raw plastic is used to manufacture the foil, which ensures that no environmentally hazardous or harmful softeners make their way into Pappelina's rugs. 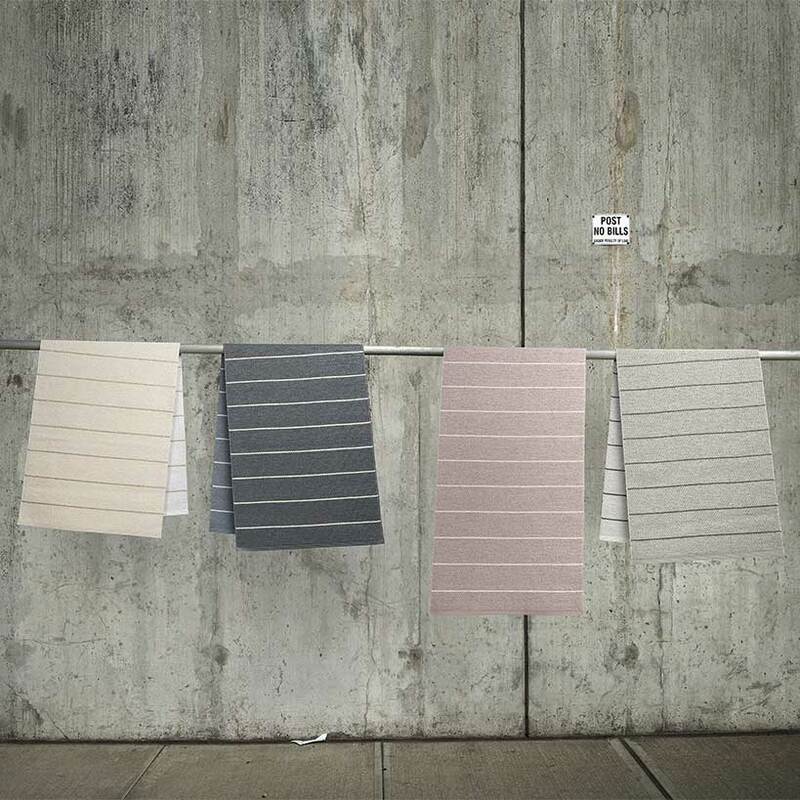 Pappelina rugs are 90% plastic ribbon and 10% warp thread. The warp is made from polyester manufactured in Germany. Give your rug a vacuum regularly. Hand or machine wash at a cold temperature (max 30°C). Evenly stretch out edges whilst wet. Use a wide bar or several lines when hanging. Use an appropriate sized washing machine. A 6kg washing machine for a 70 x 250cm rug is a good rule of thumb. Do not machine wash large rugs. Use a damp soft cloth or sponge to remove stains, do not rub. 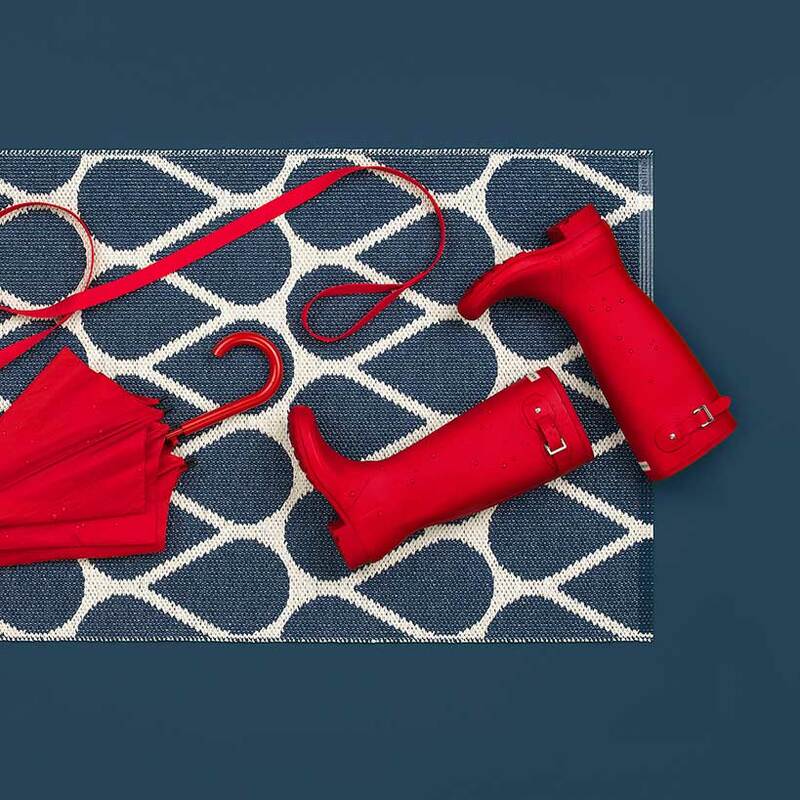 Clean the rug with a mop, hand wash in bathtub/large container, or dry clean. Pappelina rugs are durable and will maintain its colour with minimal care. The supplier of Pappelina's plastic foil ribbon is environmentally aware, its competitive edge being its ongoing development in this area. In 1995, it received ISO 9001 quality certification and two years later received ISO 14001 environmental management certification. Pappelina follows all regulations set by Sweden and the EU to reduce the health and environmental risks posed by chemicals. 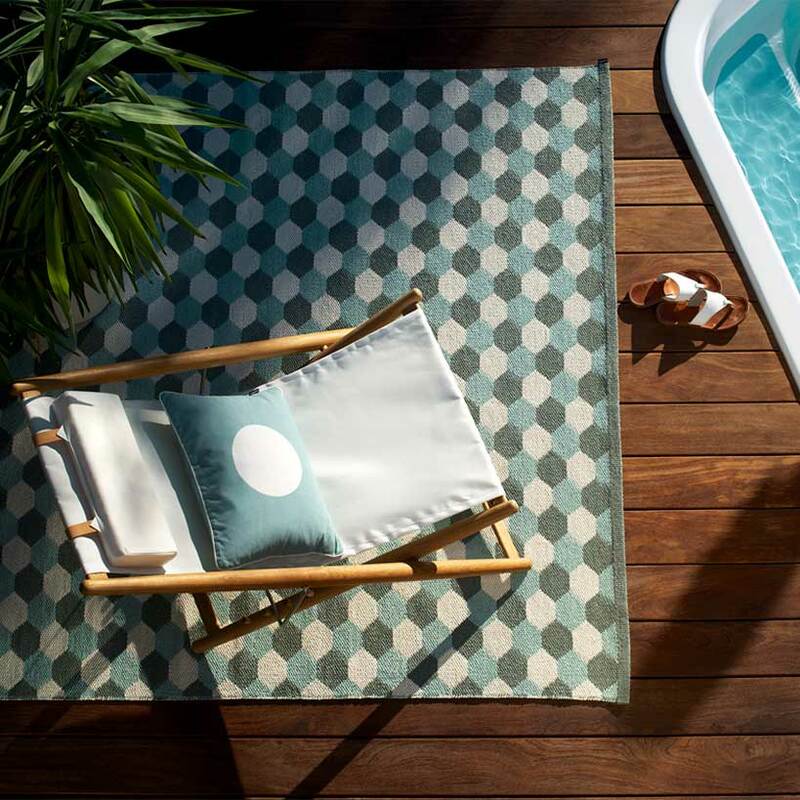 Please do not hesitate to contact us if you need any more information on how to care for and maintain your Pappelina rug, or if you need help with choosing the perfect rug. Our phone number is 0345 605 2505, or email us at customerservices@worm.co.uk.